Breakfast, known by many as the most important meal of the day, has proven to help improve concentration, give you energy, aid in weight loss, and boost your metabolism. First and foremost, you should never skip this morning meal. 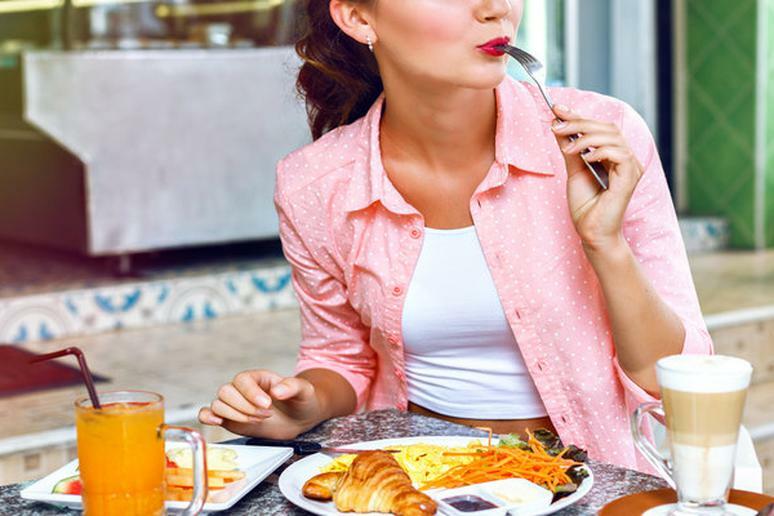 “If you don’t eat breakfast, you may make less nutritious choices later in the day,” says Amy Gorin, MS, RDN, owner of Amy Gorin Nutrition in Jersey City, New Jersey. Make sure your kitchen is stocked at all times; this way you always have healthy options available. “I always keep frozen fruit, oatmeal, a shelf-stable milk alternative, and nuts on hand. You can make the oatmeal with the milk alternative and top it with defrosted fruit and nuts,” Gorin says. Some breakfast habits may be sabotaging your diet. Make sure you limit the amount of flavored syrups, sugar and creamer you add to your coffee; refrain from eating sugary granola bars and packaged foods; and incorporate more protein and fiber into your meal.